Choosing an oil skimmer best suited for your application will maximize oil removal while minimizing initial outlay and oil skimming operation costs. How much skimmer capacity do you need? 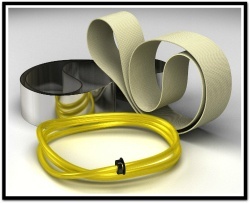 Capacity should be based on the maximum amount of oil to be removed within the shortest available time. For instance, total oil influx may be 200 gallons in a 24-hour period, which averages about 8.3 gallons per hour. But if most of it comes during a single eight-hour plant shift, you will probably need a removal rate that is three times as high, especially if you are trying to prevent an unwanted discharge of contaminated water to a sewer system. As a rule-of-thumb, specify approximately twice the maximum capacity you anticipate needing for normal conditions. What do the capacity ratings mean? Will there be water in the skimmed oil? All oil skimmers pick up some water with the oil they remove. Some designs, particularly suction skimmers, pick up more water than others. High water content increases oil recycling and disposal costs. Generally, the ratio of water-to-oil decreases with thicker films of floating oil and slower moving pick-up media. An Oil Concentrator® or decanter installed at the oil skimmer discharge port provides secondary oil/ water separation that can reduce water content to nearly zero. How much oil will be left in the tank? 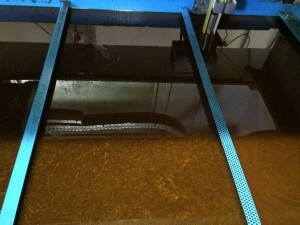 An oil skimmer continues to remove oils as long as there are oils present. Depending on oil influx rate and the oil skimmer's removal rate, residual oil in the water may be as low as a few parts per million. When residual oil reaches this level and further reduction is required, it may be more practical to use a secondary removal method following skimming, such as membrane filtration. What do I sacrifice if I choose a portable oil skimmer? Oil skimmer portability is a plus in some applications. For example, in plants, mobile equipment service shops, and at remediation sites, a portable oil skimmer can sometimes service multiple machines, sumps, or wells. Portable units usually have a lower removal capacity than stationary units. Also, when you move an oil skimmer it can be dripping water or oil when you remove it, so having a few rags on hand is a good idea. 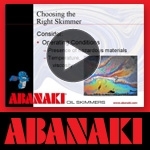 If you need any help choosing the right oil skimmer, our experts are ready to help. Give us a call at (440)543-7400 to learn more about choosing the oil skimmer best-suited for your application, or just click below.